June | 2013 | 50 Westerns From The 50s. 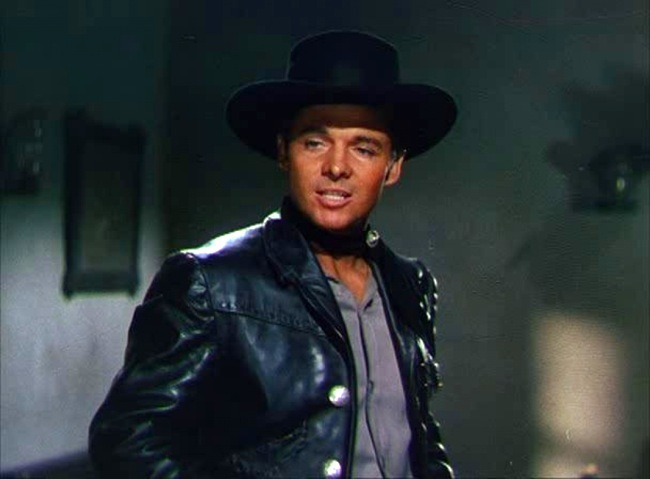 Coming Soon: The Law Vs. Billy The Kid (1954). William Castle is one of my favorite filmmakers. 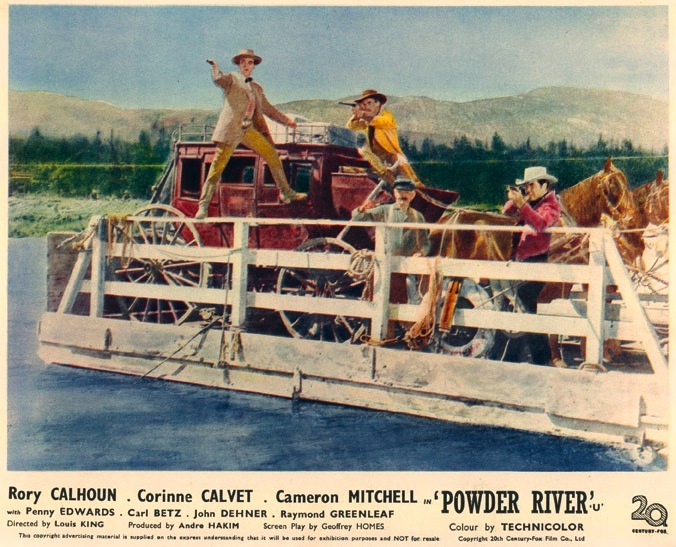 I grew up on his stuff — from The Whistler pictures to the horror films to, of course, the Sam Katzman Westerns. So I was happy to hear about the upcoming William Castle Blogathon, and even happier to be invited to play along. 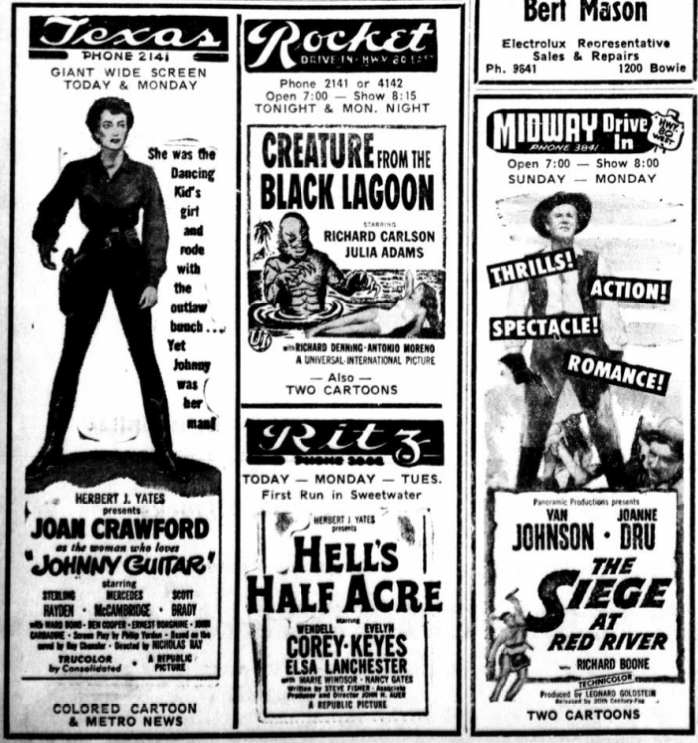 Sweetwater, Texas — June 20, 1954. According to the Sweetwater Reporter, this would’ve been a good weekend to be in Sweetwater, Texas. It was probably hot as blazes, but there were sure plenty of cool movies to see. 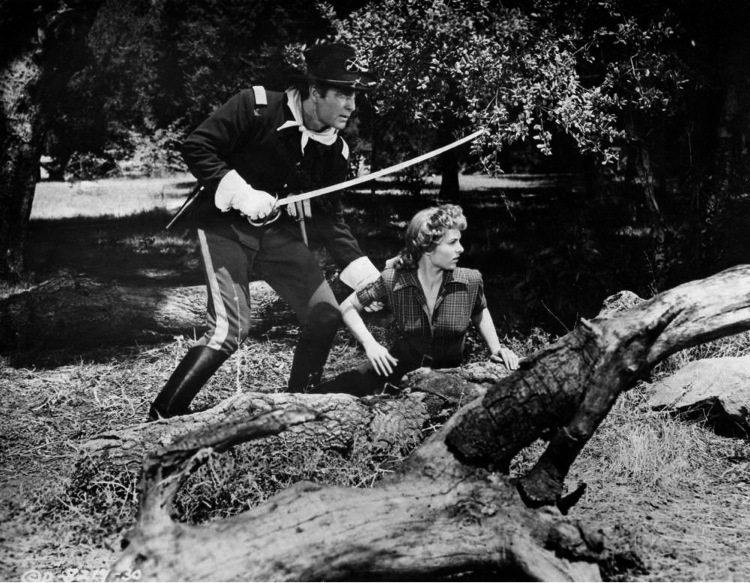 I know it’s not a Western, but Republic’s Hell’s Half Acre (1954) has to be seen to be believed. Olive Films has given you the chance — it’s out on DVD and Blu-ray. My wife has been doing some research on my family’s history and came upon a great online Texas newspaper search tool. Obviously, I’m using it for a different purpose. 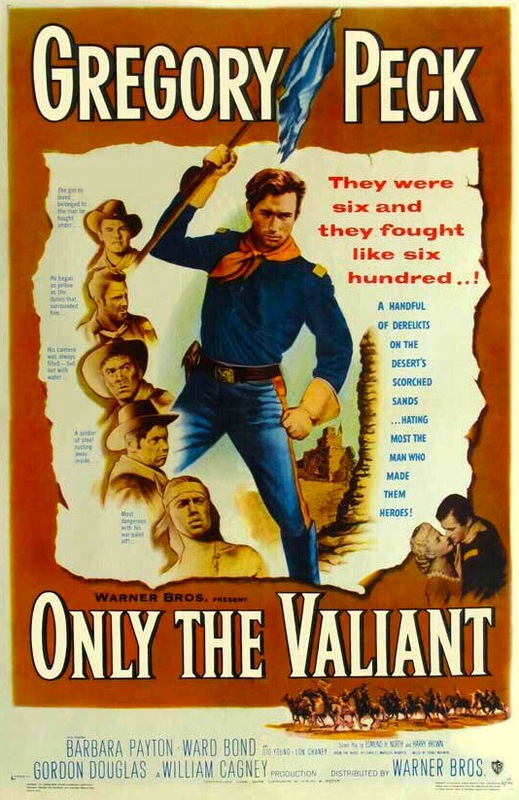 50s Westerns DVD News #127: Only The Valiant (1951). 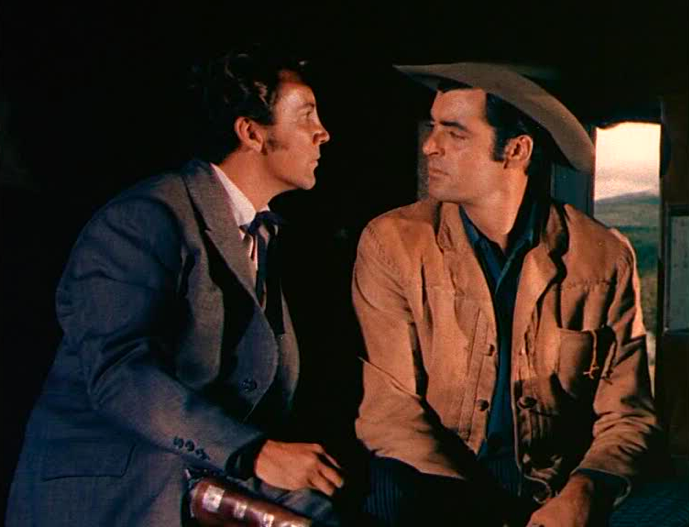 Gregory Peck was loaned out to Warner Bros. for Only The Valiant (1951), a picture produced by James Cagney’s brother William and directed by Gordon Douglas — and coming on DVD and Blu-ray from Olive Films in August. The combination of Gordon Douglas and Ward Bond is hard to resist, but I’ve always had a hard time with this film — along with anything else the tragic Barbara Payton appeared in. To me, she personifies the dark side of Hollywood, and it’s hard to disconnect her sad story from the image on the screen. 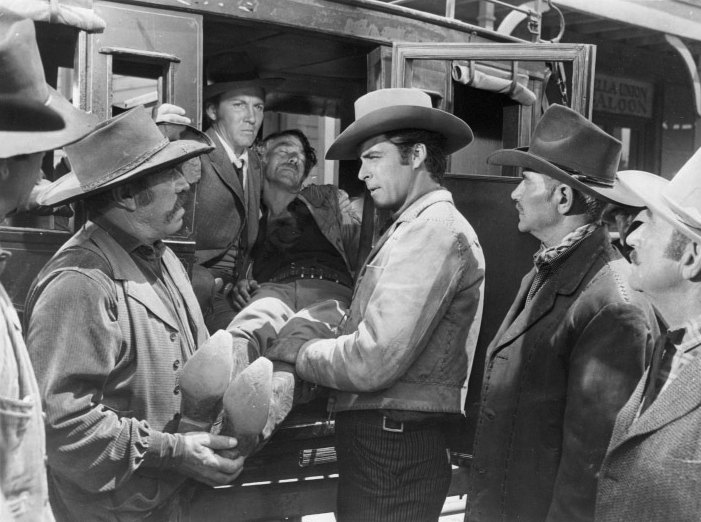 The cast also includes Gig Young, Lon Chaney, Michael Ansara and John Doucette. It’s based on a book by Charles Marquis Warren. 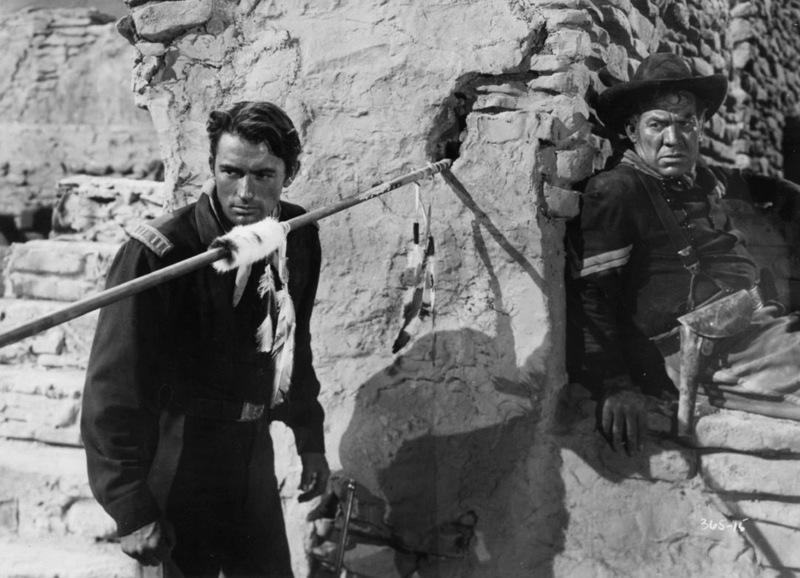 And though Gregory Peck never missed a chance to knock the film (granted, it’s a long way from 1950’s The Gunfighter), it’s a pretty solid early-50s cavalry picture. The old release from Lions Gate had to be one of the worst-looking DVDs ever released — almost as bad as the various dollar-store copies of One-Eyed Jacks (1961) I’ve wasted my money on. I’m sure we can count on Olive Films to give us something worth looking at. Today’s one of those days that ought to be a national holiday. 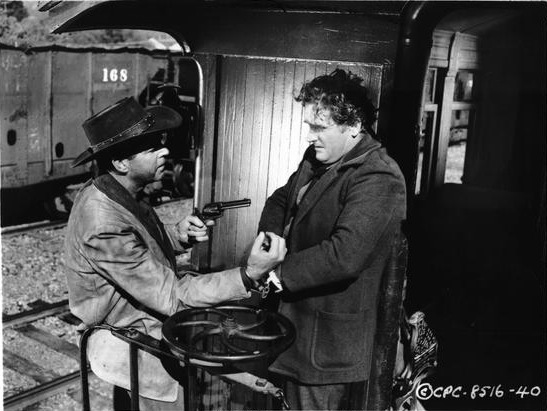 Audie’s seen here in Duel At Silver Creek (1952), one of his earlier pictures for Universal.